How to make a smaller model out of your larger InfoSWMM or H2OMap SWMM network: Make a domain and then an active facility from the domain for your larger networkExport the Active Newtork in the current scenario to SWMM 5Import the smaller model from SWMM 5 into a different InfoSWMM modelYou now have a smaller model in InfoSWMM or H2OMap SWMM. How do we look at the various measures of "fullness" in a pipe of link in SWMM 5? 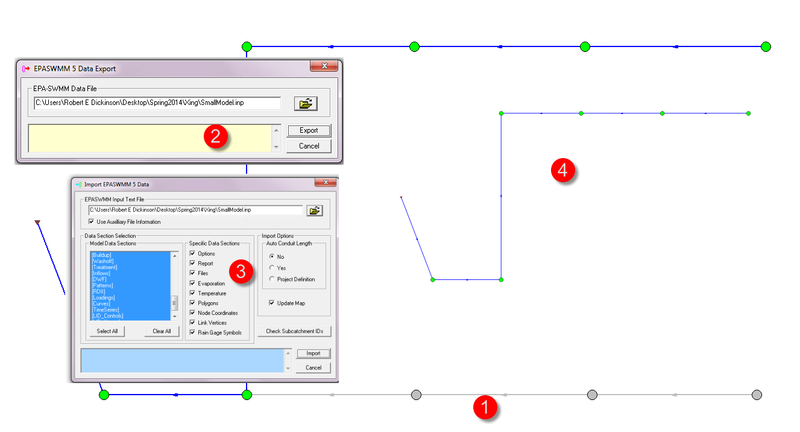 Here we look at some graphs from InfoSWMM. The image shown below shoes that at the peak flow in the links is greater than 1 even though the pipe is not full (d/D less than 1) for this model of flat slopes. Qfull is a comparison metric and not the result of the simulation. "The frogs have learned to overcome that limitation by calling from within storm drains, since the drains enhance both volume and duration, allowing the frogs' calls to reach receivers both nearby and farther away. "Concrete drains are miniature canyons, but are not analogous to anything in Mientien tree frog natural habitats," the researchers say. "Therefore, it is interesting to find those frogs preferentially calling in the drains." The frogs have taken the human built environment and turned it into a tool, rather than an obstacle to overcome, allowing their species to survive an environment dominated by our species." ------------------------- Build 5.1.006 (5/19/2014) ------------------------- Engine Updates: 1. The updating of the next time that detailed LID results should be written to file during a simulation was modified to avoid an off-by-one error. 2. 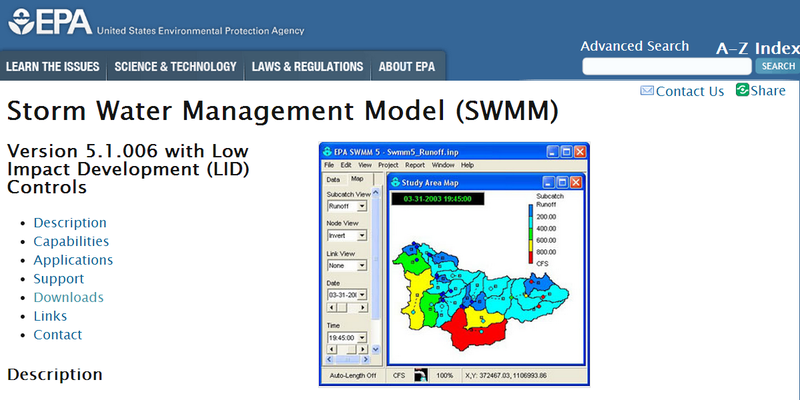 The number of decimal places for hourly evaporation written to a detailed LID report was increased. 3. The amount of soil water available for evaporation in LID units with soil layers wasn't being limited by the water remaining below the wilting point. 4. The equation that computes the rate of water infiltrating into permeable pavement LIDs had a misplaced parenthesis. 5. There was a units conversion error in computing the contribution of a pollutant in direct precipitation to the water quality on a subcatchment.